Steelers 2018 Cornerback Draft Needs – Is Corner Finally a Low Priority for Pittsburgh? As legend has it, Super Bowl XLV badly exposed the Steelers at cornerback and cornerback has been Pittsburgh’s persistent draft needs since then. Like most legends, this is founded upon truth. While Ben Roethlisberger and Antonio Brown and a few others Super Bowl XLV veterans remain, cornerback has sat atop any reasonable assessment of the Steelers needs in just about every NFL draft since then. Should the 2018 NFL Draft be different? Let’s take a look. In successive off seasons, Kevin Colbert and Mike Tomlin answered the pleas of Steelers Nation to address the cornerback position with a high profile move. In the 2016 NFL draft the Steelers took Artie Burns in the first round. Then, at the tail end of the 2017 preseason, Cleveland Browns cut Joe Haden and Pittsburgh promptly pounced. After getting his feet wet in the slot for a few games as a rookie, Burns went on to start where he had his ups and downs. By the end of the season, however Burns was making plays and had proven himself to be an asset to the Steelers secondary. The reason for that flirtation with greatness can largely be attributed to Joe Haden. Sound strange because you didn’t hear “Joe Haden” much early in the season? Well, that is a good thing. If you’re not convinced, consider that as soon as Haden fell injured, the Steelers starting giving up keep pass plays on a 20 minute basis. Joe Haden’s return helped stabilize a defense reeling for the loss of Ryan Shazier, and he figures to assume a true leadership role in 2018. In his rookie season with Pittsburgh, Mike Hilton delivered everything to the Steelers that injuries prevented his college roommate, Senquez Golson, from delivering. Mike Hilton made plays all over the field, whether it was breaking up passes, sacking the quarterback, tackling players behind the line of scrimmage or intercepting the ball. After spending the first part of the season on IR, rookie Cameron Sutton got into the game against Cincinnati, and then earned his first start in the Steelers heart breaking loss to the Patriots, and has looked good in limited exposure. Coty Sensabaugh currently holds down a roster spot. The free agent pickup started in place of Joe Haden and did OK at times, and struggled mightily at others. Behind him, the Steelers have Brian Allen. Allen is a raw prospect whom the Steelers picked in the 5th round of the 2017 NFL Draft. Allen saw some limited action on special teams early in the season, and was active for the final 8 games of the season. They’ve had mixed success with wavier wire pickups such as Antwon Blake and Ross Cockrell. The Steelers have signed free agents who played above their contract and provided vital stability (William Gay) and others who also did better than expected by weren’t good enough to keep around (Brice McCain). 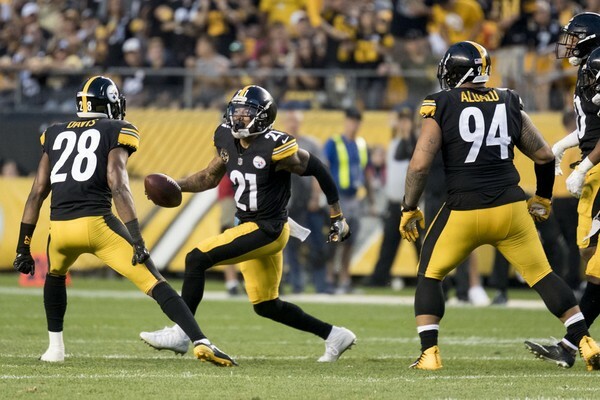 With the presence of Joe Haden, Artie Burns, Cam Sutton, Mike Hilton along with the potential offered by Brian Allen it’s tempting to say the Steelers have “addressed their need at cornerback” and can look elsewhere in this year’s draft. That’s a temptation that Kevin Colbert and Mike Tomlin must resist. Certainly the Steelers have more pressing needs on defense alone than those at cornerback. But you need 3 starting-caliber cornerbacks in today’s NFL, and Cam Sutton while promising remains unproven, and Artie Burns lack of progress last year cannot be ignored. 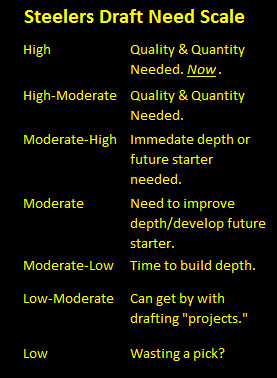 Therefore the Steelers 2018 draft need at Cornerback must be rated Moderate. One of the downsides of the age of the internet and instant communication is that it can be hard for serious fans to be surprised to learn something about their favorite team. But those moments still happen, and one such came in the form of a Bob Labriola “Asked and Answered” column when he listed Greg Ducre as one of the Steelers restricted free agents. Certainly, I’ve got plenty of company. But Greg Ducre’s still a member of the Pittsburgh Steelers and he’s set to become a restricted free agent, so let’s take a deeper look. The Pittsburgh Steelers signed cornerback Greg Ducre to a futures contract on January 30th 2017, and they placed him on the waived-injured list on August 23rd 2017. We have waived/injured CB Greg Ducre, and signed WR Justin Thomas. After he cleared waivers, his rights reverted back to the Steelers. ESPN tells us that Greg Ducre made 2 tackles in the Steelers preseason game against the Faclons. Steelers.com also assures us that Greg Ducre made a key special teams punt coverage play in the preseason against Indianapolis. 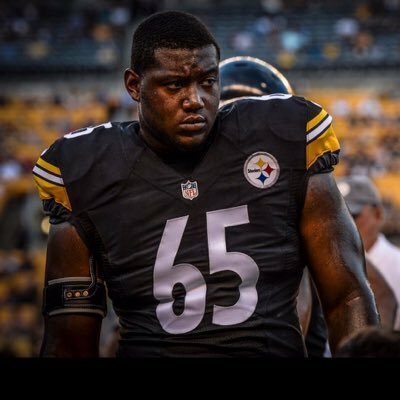 Given that even the lowest level restricted free agent tenders will likely be about 1.8 million dollars, there isn’t even a theoretical case to be made for the Steelers offering Greg Duce a restricted free agent tender. Not even in Bizzaroworld could you make this case. 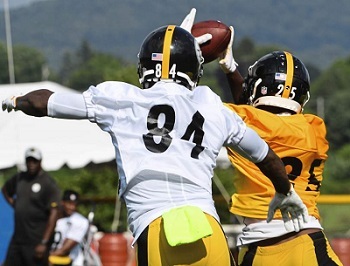 Whether it’s been drafting Shaquille Richardson in 2014, picking up DeMarcus Van Dyke and Antwon Blake off the waiver wire, or signing free agents like Brice McCain or attempting to retread Donald Washington as a cornerback, the Steelers have certainly taken a “No loose stone unturned” approach to trying to improve at corner. Drafting Artie Burns, Cam Sutton and Senquez Golson marked a departure from the bottom feeding approach for the franchise. But the Steelers could have relinquished their rights to Greg Ducre but instead chose to protect him (and pay him) during the 2017 season. 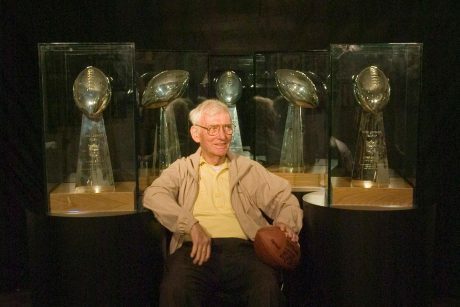 On Steel City Insider, Jim Wexell mentioned his name when reviewing the Steelers roster and implied he might still be in Pittsburgh’s plans. Greg Ducre does have 9 games of NFL experience from the 2014 and 2015 seasons which he spent with the San Diego Chargers and Washington Redskins, and even had an interception for Washington. Clearly Kevin Colbert and Mike Tomlin think that the kid has something to offer the Steelers, so it’s possible that he’ll get an invitation to St. Vincents and have another shot this summer. You’ll have to excuse me if I seem a little out of sorts, following the Steelers 34-6 victory over the Texans on Christmas Day, a win that clinched at least a bye into the Divisional Round of the 2017/18 postseason. I’m out of sorts because I don’t know if I watched a live NFL game, or a video game, namely Ninento’s old Tecmo Bowl. You remember Tecmo Bowl, don’t you? The football video game that emulated NFL teams and players from the 1990’s. Like I’m sure most young Pittsburghers during that era, I often picked the Steelers as my team when going against the computer or, more enjoyably, my little brother. As is common with most video games, you could choose a player to control on your own, and I often picked Hall of Fame cornerback Rod Woodson. Why? Because, much like in real life, there was nothing you couldn’t do with that guy–including rush the opposing passer as often as you liked. As I watched Steelers newly-minted slot corner sensation Mike Hilton rush Houston quarterbacks time-and-time again on Monday (eight times, to be exact) and record three sacks, I couldn’t help but think back to my youth as a bit of a gamer. But while Hilton became just the third Steelers defensive back to record three sacks in a game–tying safeties Troy Polamalu and Carnell Lake for the franchise mark–he did something in real life that no other cornerback in NFL history–including Woodson–has ever done outside of a video game. That’s right, Hilton became the first cornerback in league history to post three sacks in a game since the NFL began recording it as an official statistic in 1982. Steelers General Manager Kevin Colbert has long had a knack for finding gems as Undrafted Rookie Free Agents and street free agents. And Steelers cornerback Mike Hilton is the latest example. Hilton, who, like 2015 second round pick Senquez Golson, played his college ball at Ole Miss. However, unlike Golson, who never played a meaningful down for the Steelers due to battling various injuries, Hilton took advantage of the chance the Steelers gave him. After signing with the Jaguars as an UDFA in 2016, Hilton soon found himself on the Patriots practice squad, before winding up on Pittsburgh’s by the end of the season. Coming into the 2017 training camp, there was great buzz about Hilton and what he could possibly bring to the Steelers secondary. But isn’t every training camp filled with young unknowns with low pedigree who excite fans that are forever in-love with the underdog? Yet, that buzz never subsided, and even Hilton’s coaches and teammates couldn’t help gushing over him. And it didn’t take long–about a quarter into the Steelers first preseason game, actually–before it became apparent that, not only was Hilton likely to land on his first NFL roster, the Steelers had huge plans for him to be their starting slot corner, a position once earmarked for his former college teammate, Golson. Not only did Hilton earn that starting corner slot, through 15 games of his rookie season, he has excelled at the position, with a total of two interceptions, five passed defensed, a forced fumble, 39 tackles and a total of four quarterback sacks. Nobody’s draft record is perfect–including Steelers general manager Kevin Colbert. And it’s clear he missed on Golson, if not in-terms of assessing his talent, then, perhaps, in assessing his durability. But if you’re going to miss on a high draft pick, you better make up for it somewhere else. After years of struggling to find the right pieces, the Steelers now appear to have a secondary that’s close to being complete. The unit now includes a young and promising safety in Sean Davis, playing alongside veteran Mike Mitchell, a calculated free-agent signing in 2014. The corner position is comprised of young, aggressive and also promising Artie Burns, along with accomplished veteran Joe Haden, a gift of a free-agent acquisition who miraculously fell into Pittsburgh’s lap right before the start of the season. 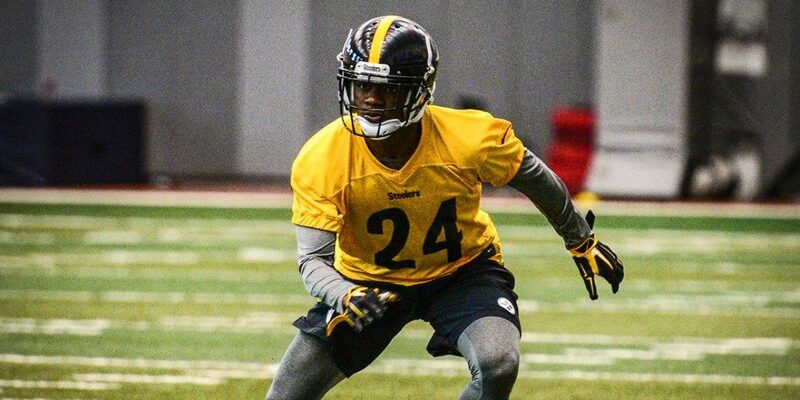 And, to round it all out, the Steelers now appear to have Mike Hilton as their very promising slot corner, a formerly unknown UDFA who excited fans at the onset of training camp, and is still leaving them giddy, just weeks away from the start of the postseason. But a quick look at the roster reveals that aside from Roethlisberger, James Harrison is the only Pittsburgh Steeler to have played for Bill Cowher. In fact, the Steelers roster has come full circle under Mike Tomlin, with his first ever draft pick Lawrence Timmons having played for 10 years before departing for Miami. But, with Kevin Colbert at his side, Mike Tomlin has taken a Super Bowl capable team and led it to a championship in Super Bowl XLIII and got back to the big dance two years later in Super Bowl XLV. In that time he’s overseen a rebuild of every area on the depth chart and he’s done so without suffering a single losing season. Along the way, Mike Tomlin has replaced both his offensive coordinator and his defensive coordinator, cycled through 4 offensive line coaches, 4 special teams coaches, 3 wide receivers coaches, 2 running backs coaches while adding former players to coach his defensive backs and linebackers. Mike Tomlin’s thumb print falls deep and wide across the organization. And that’s a good thing, because Mike Tomlin is one of the best at what he does. Mike Tomlin has weathered several stiff tests since winning the Super Bowl, including a 5 game losing streak in 2009, Roethlisberger’s suspension in 2010, a seemingly chronic curse of offensive line injuries for several straight seasons and a 2-6 start in 2013 that ended with a blown call keeping the Steelers out of the playoffs. Keeping your head above water isn’t easy in the NFL, but Mike Tomlin has done it. Now it is time to soar. For two seasons now, Steelers Nation has salivated at the prospect fielding an offense featuring all four Killer Bees: Ben, Le’Veon Bell, Antonio Brown and Martavis Bryant. Injuries and suspensions have prevented that. When the Steelers open against the Browns, this will be a reality. During Mike Tomlin’s first several years in Pittsburgh, whether it was by design or by happenstance, the Steelers employed a “Plug and Patch” approach to building its offensive line. That worked, for a while, but the Steelers open 2017 with 5 offensive lineman playing on their second contracts. On defense, the Steelers have methodically rebuilt their roster, done some exercises in trial and error (see Jason Worilds and Jarvis Jones), made some mistakes (see Cortez Allen or Shamarko Thomas), and has some plain bad luck (see Senquez Golson). While some elements remain relatively untested, the front seven of the Steelers defense appears to be rock-solid. And while the secondary still must prove itself, the acquisitions of Joe Haden and J.J. Wilcox represent Tomlin’s commitment to talent as opposed to staying within his comfort zone. The lynch pin to Mike Tomlin and the Steelers rebuilding strategy has always revolved around one man: Ben Roethlisberger. The Steelers signal caller caused some cardiac arrhythmia last January when he openly mused about retirement. Fans old enough to remember Mark Malone’s 46.4 passer rating as a starter in 1987, fret at the thought of losing a franchise quarterback, but the positive to all of this is that Ben Roethlisberger will likely leave the game and the Steelers on his own terms. You might have to go back to the Kennedy Administration to find another Steelers starting quarterback who could say they did that. Most fans now take it for granted that Ben Roethlisberger will hang it up after this season, but no one knows. Would another AFC Championship loss or playoff disappointment lead him to conclude it was time to start “Life’s Work?” Should things work out differently, might he decide to follow Jerome Bettis’ lead, and retire with the Lombardi in hand? Or would he return to try to tie Terry Bradshaw? The truth is, Ben himself probably doesn’t even know. The Super Bowl window had slammed shut on Hines Ward, Casey Hampton, Troy Polamalu and their contemporaries from the 00’s. But Ben Rothlisberger hadn’t yet turned 30. The question since that moment has been “Can the Steelers reload before Ben gets too old?” As a rookie, Ben Roethlisberger led a team of veterans in their primes on a 16 game winning streak that ended with a brutal loss to the New England Patriots in the AFC Championship. 12 years later, Ben would take a team starting 3 rookies on defense, and throwing to wide receivers named Cobi Hamilton and Demarcus Ayers on a playoff run that ended in bitter defeat to the New England Patriots in the AFC Championship. In his sophomore year, Ben Roethlisberger rebounded from the AFC Championship loss to the Patriots to lead the Steelers to victory in Super Bowl XL. Now it is time to find out if Roethlisberger can respond in similar fashion at the opposite end of his career. Mike Hilton, a training camp and preseason sensation, also made the team as the Steelers will keep 7 cornerbacks. Ben Roethlisberger, Landry Jones, and Joshua Dobbs. Terrell Watson’s power rushing pushed veterans Fitzgerald Toussaint and Davis off the team. Note, Le’Veon Bell doesn’t officially count against the 53 man roster yet. Antonio Brown, Martavis Bryant, JuJu Smith-Schuster, Eli Rogers, Justin Hunter and Darrius Heyward-Bey. No surprises among the first four. 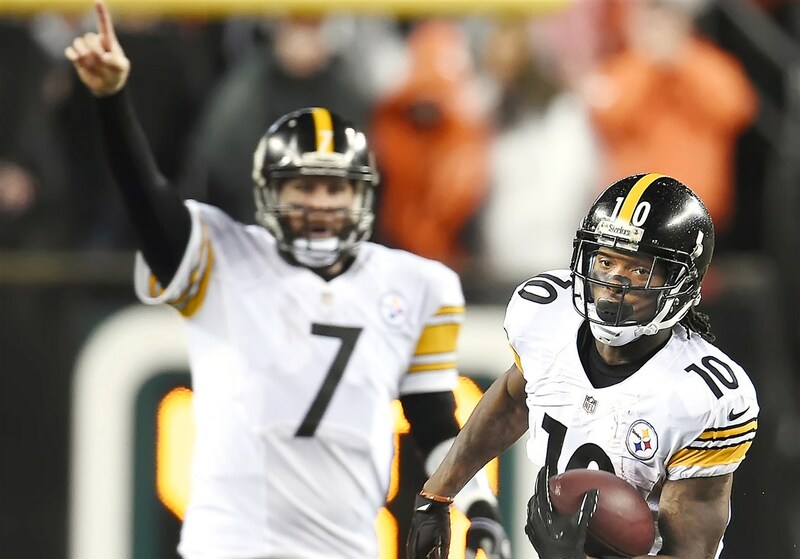 Keeping Justin Hunter around will make Ben Roethlisberger happy, and DHB makes team largely because of special teams. Vance McDonald, Jesse James and Xavier Grimble. Jake McGee played well in preseason, but will likely head to practice squad. This site’s got a soft spot for underdogs, making it tough to see David Johnson go. Alejandro Villanueva, Ramon Foster, Maurkice Pouncey, David DeCastro, Marcus Gilbert, Chris Hubbard, B.J. Finney, Jerald Hawkins and Matt Feiler. 9 offensive lineman might seem a little high, but if the Steelers 2010, 2011, 2012 and 2013 season painfully proved, you can never have enough good offensive lineman. Cameron Heyward, Javon Hargrave, Stephon Tuitt, Tyson Alualu, L. T. Walton and Daniel McCullers. A late push by McCullers saves his roster spot. On paper, this is the deepest defensive line Johnny Mitchell has ever had to work with – and he’s been coaching despite being given every chance. Assume he’ll be back on the practice squad. Bud Dupree, T.J. Watt, James Harrison, Anthony Chickillo and Arthur Moats. Keeping 5 outside linebackers might seem like a luxury, but remember Arthur Moats has position flexibility to move inside in a pinch. Ryan Shazier, Vince Williams, Tyler Matakevich and L.J. Fort. If Shazier stays healthy, this group should be OK. Still it looks a lot less athletic with Timmons in Miami. Artie Burns, Joe Haden, William Gay, Mike Hilton, Cam Sutton, Coty Sensabaugh and Brian Allen. Mike Mitchell, Sean Davis, Robert Golden and Jordan Dangerfield. To the naked eye this looks good for the Steelers. However, Mike Mitchell has been injured for most of cap, Jordan Dangerfield got injured in the final preseason game, and Robert Golden is not a long term starter. Chris Boswell, Jordan Berry, Kameron Canaday. It seems that Kameron Canaday and not Colin Holba is the heir Greg Warren. 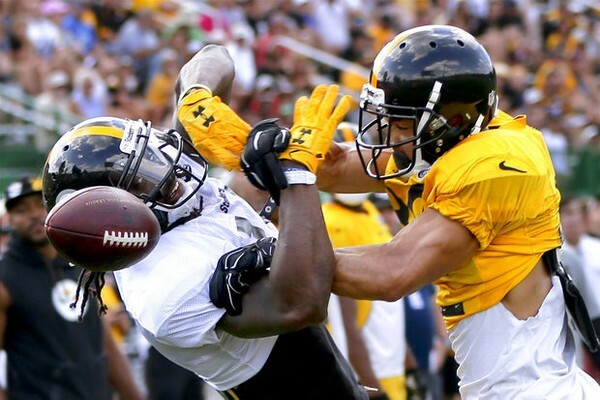 Finally, to the surprise of no one, the Steelers cut Senquez Golson, their 2nd round draft pick from the 2015 NFL Draft whose NFL career at this point consists of a handful of training camp practices. When fans have asked Steelers Digest editor Bob Labriola about whether Golson would return to the practice squad, his stock answer is that he needs to be healthy enough to practice first. Beyond signing their practice squad, the Steelers will also likely need to make another move as Le’Veon Bell does not yet count against their 53 man roster. There’s a good chance that the Steelers will create space for Le’Veon Bell by putting Cam Sutton on IR, but the Steelers have hardly been predictable of late. Steelers Sign Joe Haden. Is 2nd Time Charm for Pittsburgh & a Retread Cleveland Cornerback? …Adding new players to their roster, it would seem. Just one day after trading to acquire the San Francisco 49er’s Vance McDonald, the Steelers signed Joe Haden, the recently cut cornerback of the Cleveland Browns, and they did it to the tune of a 3 year, 27 million dollar contract that reportedly comes with 7 million in guarantees. The Steelers are of course familiar with Joe Haden’s body of work, as Haden has played in 11games against the Steelers, covering the likes of Hines Ward, Antonio Brown and Martavis Bryant. While Joe Haden might not have reached “Shut Down” corner status, he quickly established himself as one of the best corners in the league as he made the Pro Bowl in 2013 and 2014. Injuries have taken their toll since then. A concussion kept Haden out of action for 10 games in 2015, and last season several groin injuries hobbled him, which required surgery in the off season. During much of the 2017 both the press and the Steelers fan base made a lot of noise about Pittsburgh’s in ability to bolster their pass defense following the AFC Championship disaster. The Steelers were rumored to be targeting Dre Kirkpatrick or some other big name corner in free agency, but no deal ever materialized. Instead, the franchise settled for Coty Sensabaugh, a mid-level cornerback at best. The Steelers did of course draft Cam Sutton and Brian Allen in the 2017 NFL Draft, but both players have been injured for much of the summer. Likewise, this was to be the summer at St. Vincent’s when Senquez Golson finally emerged from the training room. But Sutton and Allen have been injured for most of the summer, and Senquez Golson only lasted a few practices before finding his way back to the injured cart. During the preseason wins over the Falcons and losses the Colts the Steelers pass defense has struggled. Mike Tomlin reacted by trading for Dashaun Phillips and giving Coty Sensabaugh at shot at Ross Cockrell’s starting job. Now both men will have to yield to Joe Haden, because the Steelers are paying Haden starter money. Whether Haden can boost a struggling Steelers secondary remains an open question. Steel City Insider’s Jim Wexell quoted sources in Cleveland that described Haden as “tentative” and another who declared that Haden is no longer capable of covering number 1 NFL wide receivers. However, as the Pittsburgh Post-Gazette’s Joe Starkey pointed out, the key isn’t whether Joe Haden can be the next Rod Woodson, Mel Blount or even Ike Taylor, its whether he’s better than Ross Cockrell and Coty Sensbaugh. This is of course not the first time the Steelers have looked to a recycled Cleveland Browns cornerback to bolster their secondary late in the summer. A year ago the Steelers traded for Justin Gilbert, whom they coveted in the 2014 NFL Draft, only to see Gilbert play a handful of snaps and then be cut in the off season. The Steelers signing of Joe Haden will certainly have ripped effects elsewhere on the roster. Artie Burns will switch sides, and one other cornerback will find himself on the wavier wire. Salary concerns could mean that person is Ross Cockrell, which would be quite unfortunate for the young man. It could also impact the Steelers plans to extend the contract of Stephon Tuitt, but Bob Labriola’s comments seem to indicate that the Steelers have structured his deal so that this will not happen. Coincidence? Perhaps, but probably not. No, these moves are likely the latest in what can only be described as a Sisyphean Steelers secondary rebuild. “Sisyphean”for those of you who’re rusty on your Greek Mythology, referse to the plight of Sisyphus who was condemned for all eternity to roll a bolder up hill, only to have it get away from him halfway up, so that he could start again. On has to get the feeling that Kevin Colbert, Mike Tomlin, Keith Butler and Carnell Lake can identify. When the Steelers started training camp, building depth in the secondary in general, and at cornerback in particular were a key need for the team. On paper, things looked promising. 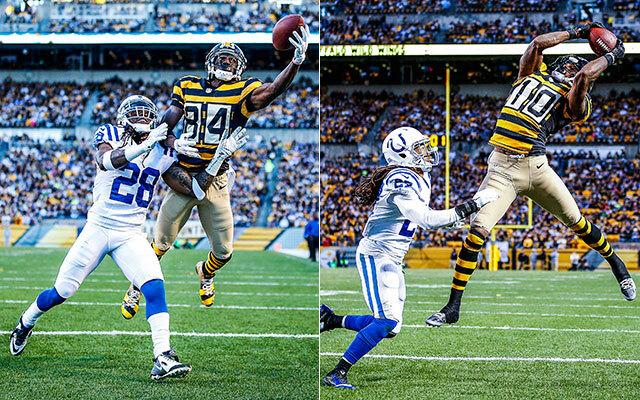 For starters, the Steelers had bodies, in contrast to previous trips to St. Vincents. Artie Burns and Sean Davis had come into their own during the second half of 2016, and Mike Mitchell had continued with another year of solid play. They’d added Coty Sensabaugh , word was William Gay was looking better than he had at the end of 2016, and Senquez Golson was also back. Throw in Cam Sutton and Brian Allen, the Steelers 3rd and 5th round picks for the 2017 NFL Draft, and the Steelers seemed to have safety in numbers. A month later, finds Senquez Golson injured, again, joined by Cam Sutton and Brian Allen, who’ve largely been kept on the sidelines during training camp and preseason. The leaves the Steelers shuffling the deck again at cornerback, much as they did in 2015 when they traded for Brandon Boykin and claimed Ross Cockrell off of waivers. Whatever else you can say, you can’t blame Kevin Colbert and Mike Tomlin for lack of trying. As recently as two years ago, you could argue that Pittsburgh was trying to rebuild the secondary on the cheap, as the Steelers brain trust ignored pleas from fans and the press to draft a cornerback early in the 2012, 2013, and 2014 NFL Draft. Indeed, in 2014 Carnell Lake shoed away questions about waiting so long to draft a corner by talking up Antwon Blake. For the record, the Steelers had thought they had something in Cortez Allen and had invested heavily in drafting Shamarko Thomas as an eventual starter at safety. Both of those moves count as epic failures. But that was then. Since 2014, the Steelers have drafted five defensive backs and used premium picks to draft all four of them. Despite all of those moves, the Steelers still find themselves turning over loose stones hoping to uncover a defensive back or two who can help bring home Lombardi Number 7. While that might not be listed as Standard Operating Procedure in the manual of a team that fancies itself as a Super Bowl contender, fans can take heart in the fact that the Steelers track record is pretty solid here. Antown Blake wasn’t starting material, but he delivered good value as a waiver wire pickup. And while Ross Cockrell’s demotion is disappointing (and as Steel City Insider’s Jim Wexell indicates, probably permanent), the Steelers secondary was better with him starting in 2016 than it had been with Blake starting in 2015. So the trajectory of the Steelers Secondary Rebuild remains upward. But unlike Sisyphus, the Steelers need to find a way to keep the ball rolling until they reach the mountain top. Because Ben Roethlisberger doesn’t have an eternity to wait.